Dollar comes on back foot against Indian currency, today at interbank foreign exchange rupees gain +48 point to 57.50 at 2:59 pm. Weak dollar result negative trend in bullion, at domestic market. On intraday trade at MCX gold and silver open at positive side but weak dollar loss support and gold silver fall by more than -300 together. International gold prices also down by 0.39% or -5.37 to 1380.70. On evening trade gold price are expected to trade in bearish side with low movement with some correction. 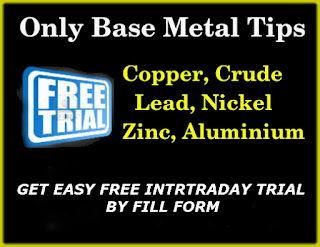 Following yellow metal silver prices also fall in day trade by more than -150 point and touched a low of 43074. Silver for future delivery expected some correction with crude oil in evening trade.